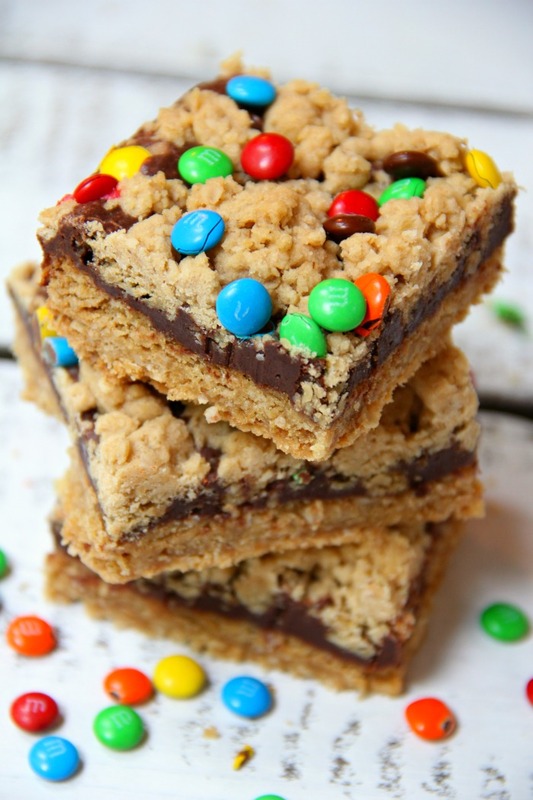 M&M Chocolate Oatmeal Bars – Chewy oatmeal bars with a chocolaty fudge layer, sprinkled with M&Ms. 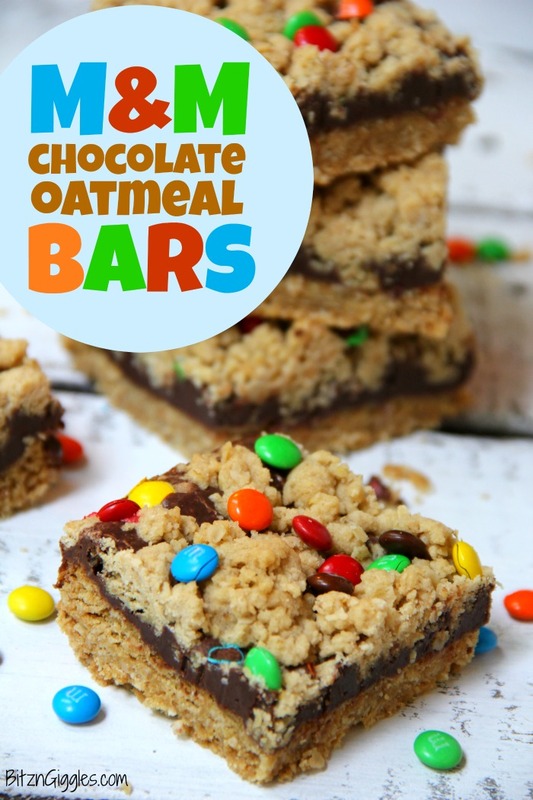 There’s just something about oatmeal bars. I think they remind me of my childhood. Growing up my mom would make O’Henry Bars and it took everything I had to stop myself from eating the entire pan. 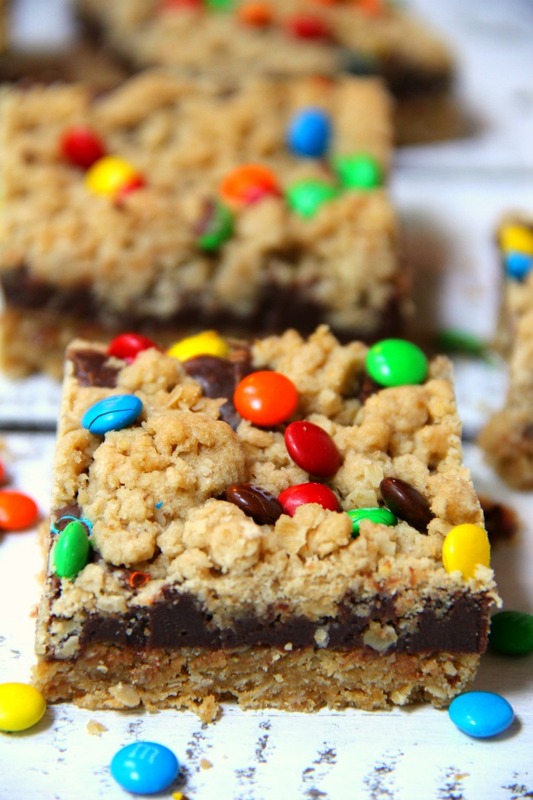 These M&M Chocolate Oatmeal Bars are a little like O’Henry Bars. 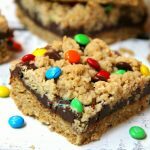 The chocolate is just inside the bar this time and there’s a little oatmeal crumble sprinkled on top along with some delicious mini M&Ms. I like to line my baking pans with aluminum foil when I make bars because it makes cutting them so much easier. I just lift the foil out of the pan and start going to town. The bars never stick to the bottom or sides of the pan and come out pretty darn perfect. My mouth starts to water the minute I see that delicious fudge layer. Your teeth literally just sink into these bars. Honest. There are exceptions however. If you’re having a tough day, just want to eat something delicious and don’t want to share, I get it. Sometimes it feels tastes good to be bad. Enjoy friends and have a great weekend! 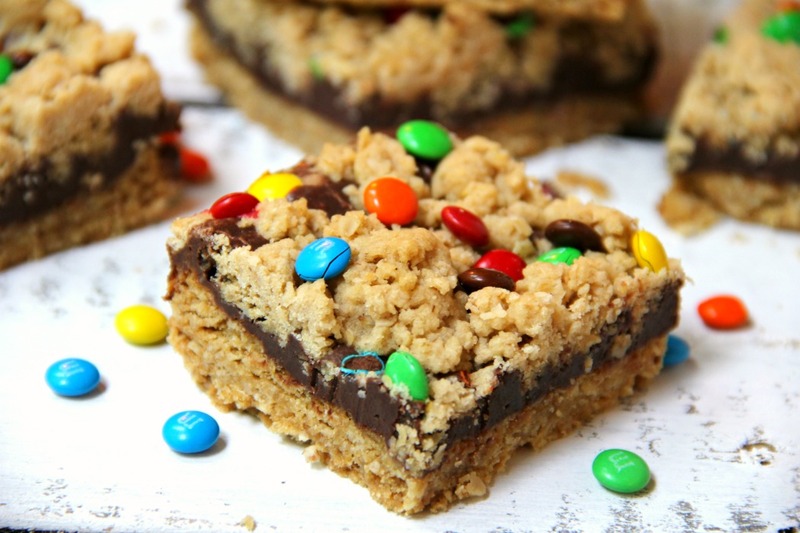 Chewy oatmeal bars with a chocolaty fudge layer, sprinkled with M&Ms. Line a 13×9″ pan with foil and spray with nonstick spray. Microwave condensed milk and chocolate in a microwaveable bowl until steaming hot. Allow to sit for 1 minute. Stir until chocolate is melted. Add one teaspoon vanilla extract. Put butter, brown sugar, baking soda, salt and remaining vanilla extract in a large bowl and beat with mixer until fluffy. Stir in oats until mixture is crumbly. Press 2/3 of the mixture firmly into pan. Spread evenly with chocolate mixture. 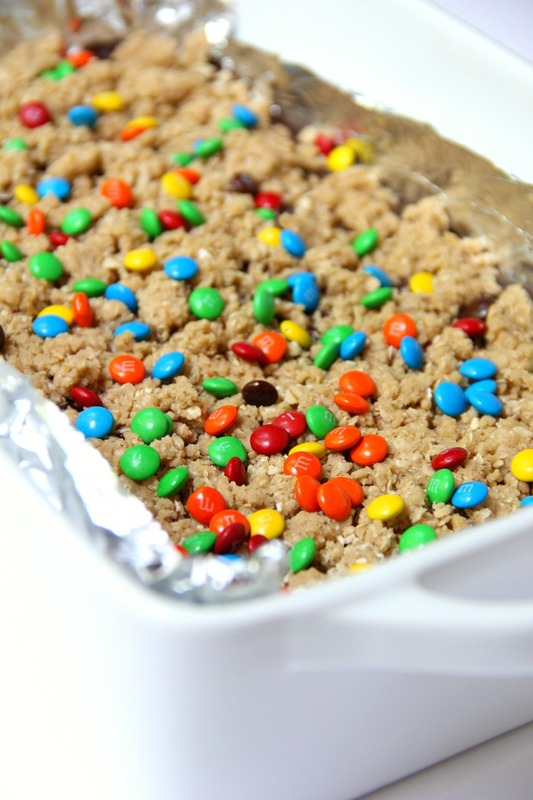 Sprinkle with remaining oats and M&Ms. Bake 25-30 minutes until lightly browned on top. Cool, lift foil out of pan and cut into bars.